Originally the Heights of Abraham was only accessible to those who could scale the steep slopes of Masson Hill on foot. 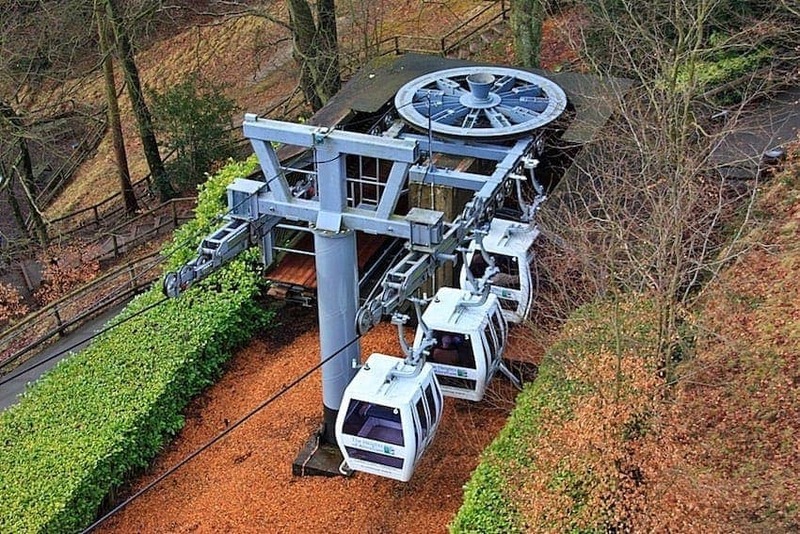 In 1984 Britain's first alpine style cable car transport system was installed, the observation cars transporting visitors and allowing stunning views of the Derwent Valley and surrounding Peak District. The 12 cars are permanently attached and move with the cable which forms a continuous loop. They travel 554ft (169 metres) from the base to the top station passing over 4 towers, the highest is 77ft (23.5m). There are guided tours and attractions at the summit.